1.) Take Responsibility- I had a director once who would ask everyone to raise their hands after singing a measure if they felt they had been flat. He congratulated everyone who raised their hands instead of embarrassing or harshly correcting them, expressing his gratitude that they recognized an issue and offering positive suggestions. That’s wonderful lesson for life; instead of blaming others or or circumstances for mistakes, we should humbly own up to our own errors, resolve to do better, and put our best foot forward in the future. 2.) Find your strengths and develop them- In high school, I sang soprano 2, the second highest voice in a choir. When I didn’t make it into a regional choir, I wondered what I could do to improve my sound and pitch. 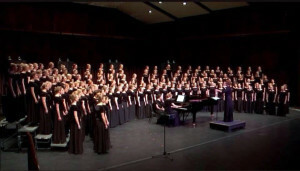 In college I chose to addition as an alto 2, the lowest voice in the choir, and made the leading All-Female vocal group. Because I found my strength, I was able to gain new experiences and opportunities! In life, sometimes you have to accept that even though basketball is your passion, if you’re 5’4, you most likely won’t play in the pros. But that doesn’t mean you don’t have equally important talents in other areas, you just have to look for them! 3.) Listen- I had a director in high school who consistently reminded us that if we could hear ourselves but not our neighbors, then we needed to listen louder than we sang. As we go throughout our days, is the sound of our own voices limited our ability to learn from and serve others? Are we foregoing chances to grow from the stories that others would tell if only they were given the chance? 4.) 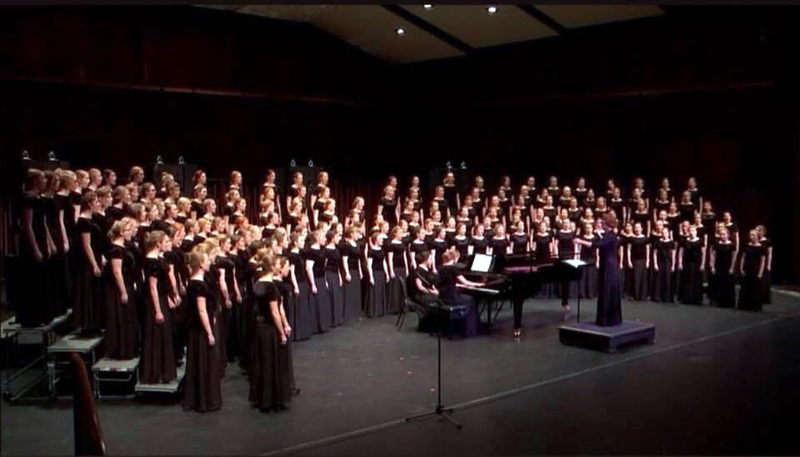 Keep your eyes on the conductor- During a particularly influential All-State choir in high school, we had only a few days to learn five fairly long pieces, two of which were in different languages. During one of our final rehearsals, we made numerous mistakes because our memorization wasn’t quite up to par, and because we were still shaky on the words, our technique wasn’t as strong as it should have been. During one very rough run-through, our expert conductor dropped his hand, and on cue, we all stopped singing. “Singers,” he began, “Just keep your eyes on me. As long as you stay focused on my direction, I’ll give you all the words and instructions as you need them. Trust me.” And guess what? When we gave him 100% of our attention during the performance, we didn’t make any mistakes. In my life, God is the conductor who gives me the words and direction that I need. When I lose my focus or rely on my strength instead of His, I make mistakes and don’t perform on the stages of life as well as I do when I rely on His patents. I would encourage any readers to recognize or find your own conductor, whether it be God, family, or a set of personal values, and don’t take your eyes off of them! Remember, your voice matters, and as you find your place in the choir, you will be able to work with others to make a difference!